Skyfall is already the 23rd installment and I’m certain will definitely not going to be the last in the James Bond movie series. The movie can be easily concluded if M simply resigned as she was asked to do so. 007 on the other hand should not have surfaced anymore when he was declared down and dead. But then again, there would not be any more plots to write about if there was a short cut right? So read on for the synopsis. The movie opens up with the MI6 field agents chasing a paid con artist fleeing with a stolen file of all MI6 agents. This was set in Turkey where Bond was driving a motorcycle over rooftops of buildings. The scene was reminiscent of Taken 2 except that they were running instead of riding bikes. 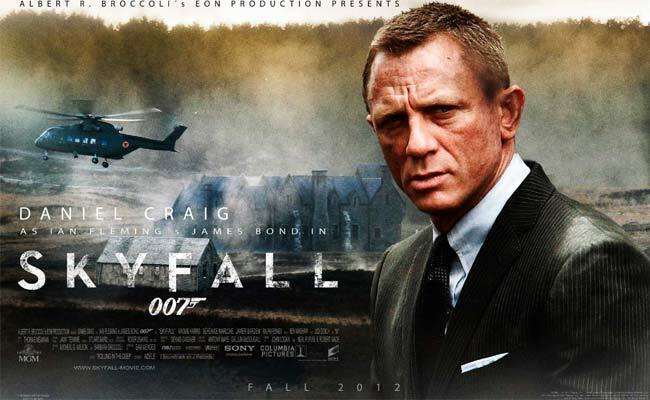 Although Skyfall refers to James Bond’s ancestral home in Scotland, the movie actually revolves around MI6 and an attack from one of its former agents. But more than the organization, it was a personal vendetta against M. Everything was carefully planned from stealing the org’s agent files and bombing their headquarters so they will be forced to move out and move in through the subway, the London Underground. When Bond was hit by agent Eve after taking orders to take a shot from their leader M, he was supposedly out of the picture already. He went back upon seeing the news about how MI6 is being attacked. He wasn’t even fit to be sent back to work but the group needed him more than ever. Now even with Bond being reintroduced back to the plot, the movie’s villain Silva had everything still carefully planned too. He was always ready and anticipated the other player’s movements. It’s as if he knew Bond would chase after Severine, his woman at the casino in Macau, and be led towards his whereabouts (an abandoned island in China). Even when he was captured due to a distress signal sent from one of Bond’s gadget’s, Silva allowed MI6’s brains to hack into his system so he can actually hack into their organization’s and have himself released from his cell. It was brains against brains and hacker against hacker when Silva was intentionally provided with a fake signal which only he can track towards where Bond took M for her safety and to use her as bait to lure Silva. It was a battle between modern warfare against traditional arms because Silva initially sent out a troupe of mercenaries before making a grand entrance aboard a chopper with loud stereo playing on the background. Bond, Kincade (his parent’s home’s caretaker), and M only had an old riffle plus homemade booby traps to defend themselves. In the end, I’m sure you know who wins but it was definitely a waste of a good ol’ ancient estate such as Bond’s family heirloom of a home because the house was blown into pieces through kitchen gas tanks. In relation to that line “a waste of a good ol’e ancient estate,” we hear Bond say “it’s a waste of good Scotch” when one of his women in the film, Severine was killed by Silva himself. Although he was obviously referring to the shot of Whisky which fell from Severine’s head and was considered insensitive by many, it’s typical for a James Bond film and how his lineup of women flees as fast as time, often to their deaths after being involved with him. In this movie, Bond also had a fling with Eve, a fellow MI6 agent who actually shot him to his death falling from a speeding train. There was also a Bohemian charmer in a far flung island after he recovered from his near death fall. Incidentally, Bond and Silva actually shared the same fate when they were both given up by their boss; M. Silva was surrendered to the Chinese government during the Hong Kong turnover to China after he was involved with hacking the Chinese government beyond his mission. It was in exchange for six agents who were able to return home safely. Bond on the other hand was sort of betrayed by M as well when she ordered Eve to take the shot even if there was no clear view between Bond and his perpetrator (the paid mercenary who stole the MI6 agent files). Although they were forced into a similar situation, Bond reacted differently. He was hostile at first when he went back and visited M at her home but he soon understood the reason behind M’s decision. He was even protecting her till the end. Silva on the other hand did not realize that his own folly led to his downfall and blamed M when he was tortured close to death. Anyway, measuring both guys’ anguish, I think Silva’s experience was worse than that of Bond’s. There will be more James Bond movies even after M’s demise in this chapter, that’s for sure. That’s because a new M was introduced through the character of Gareth Mallory played by Ralph Fiennes. Not unless 007 is replaced by a new character as well although that appears to be a remote possibility. After all, it’s never the same without James Bond. In fact, even if he was supposedly not fit yet to work on the field, he was intuitive enough to analyze and realize the fact that Severine was not working wholeheartedly and that she was afraid of something or someone. Although she died in Silva’s island, Bond was able to capture the antagonist singlehandedly and eliminate his men long before the distress signal he sent was picked up by MI6. The old dog will continue to have new tricks to offer. If you haven’t seen Skyfall yet, the whole 143 minutes or run time including the opening song from Adele with her rendition of Skyfall’s official theme will be worth it whether or not you are a James Bond fan.